FCA Regions - Florida CERT Association Inc. 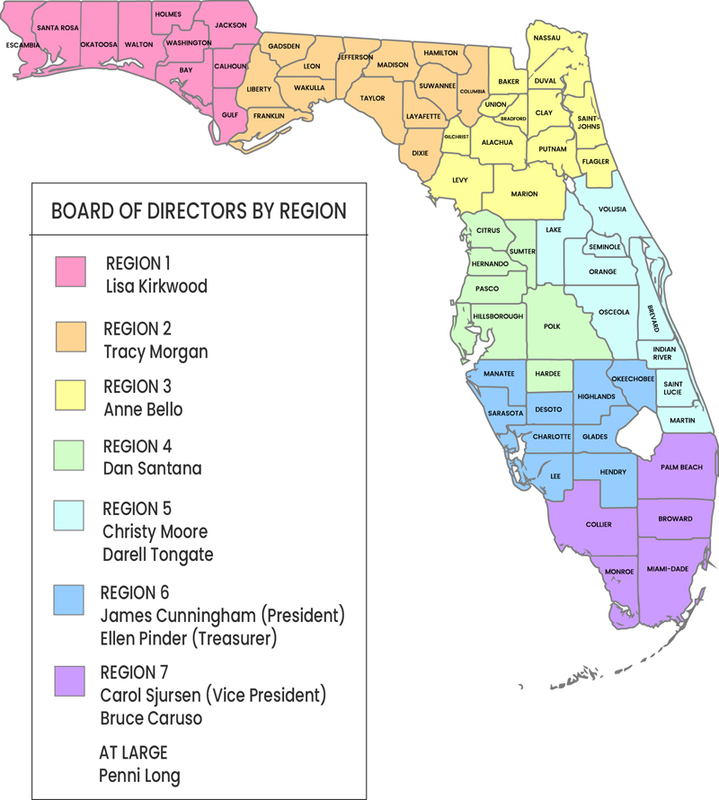 The Board of Directors manages the affairs of the Association and consists of representation from each of seven geographic regions of the State. Directors are elected each year at the annual conference held in August and serve two-year terms.